Still frustrated with how to download IMDb movies? 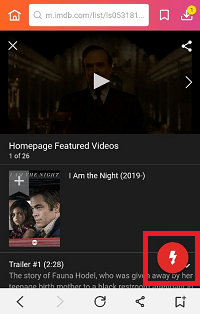 Here is an instruction telling you how to download free IMDb movies to Android, like Punjabi movies, Hindi movies, Telugu movies, etc. Considering most movie websites like IMDb only allow online watching, a free video downloader becomes necessary and provides much convenience. 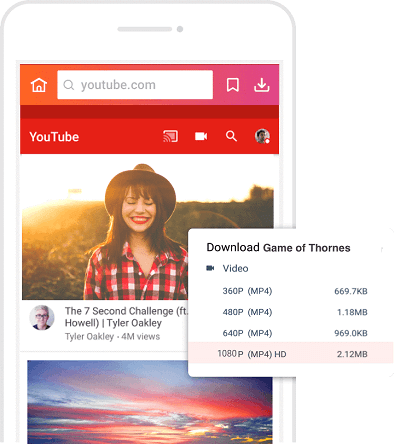 It not only provides tons of videos and music for you to stream since video downloaders always support a number of sites but also help you download them to your device. InsTube is a free video music downloader. It only takes several steps to download free movies from IMDb using this app. 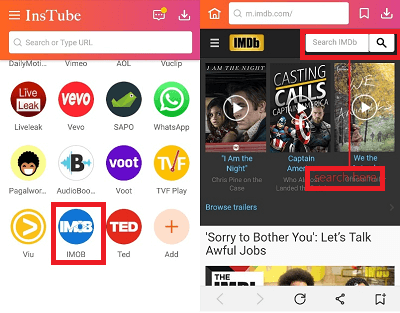 Although there are many video downloaders on the market, some don’t support the IMDb app, and some support much fewer video sites than InsTube, which contains over 100 ones. If this is the first reason to choose InsTube, then, the HD movies download is your second reason. In InsTube, you can choose the full HD format to download your videos. In fact, InsTube provides many formats and resolution to choose from, such as MP3, M4A, 3GP, MP4 ETC. You can choose the one you need in the downloading process. Finally, InsTube offers a video locker to protect your privacy. It saves you from downloading a video lock app to do that. The downloaded video will be kept in “Privacy”. InsTube is a totally free and secure downloader APK. Its other features like multiple network connections make it your great choice to download IMDb movies. InsTube offers several ways to download IMDb movies. You can download on IMDb app with InsTube or you can download on InsTube app directly. Find IMDb on the homepage of InsTube. Enter IMDB website and search for the movie you want to download. As the search results show, tap on the one you need. At the same time, you’ll see a red download button appears on the bottom right corner. Tap on that button. As we mentioned above, InsTube provides a number of formats. Find the movie in “My File” by tapping on the download icon in the top right corner of your phone. 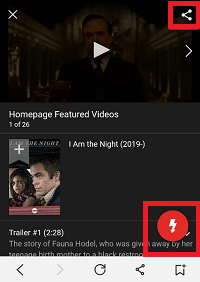 Open InsTube and then enter IMDB app. 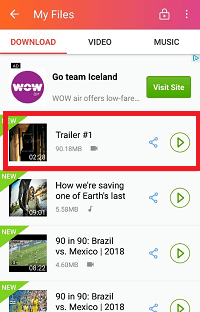 Search for the movie you want to download in the search box and then click to play the movie. Tap on the “share” button on the top right corner of the screen and choose “Download with InsTube” on the pop-up page. The page will turn to InsTube now. As the red download button appears, tap on it to download the movie. InsTube provides many formats to choose from. Choose the one you need and then tap “Fast Download”. The download is finished now. You can find your movie in “My File” by tapping on the download icon on the upper right corner of your phone. Just download your favorite IMDb movies with the ways mentioned above. It should be noted that the ways are suitable for downloading video & music from 40+ sites available for InsTube. If you have any concerns, feel free to contact us via support@instube.com.